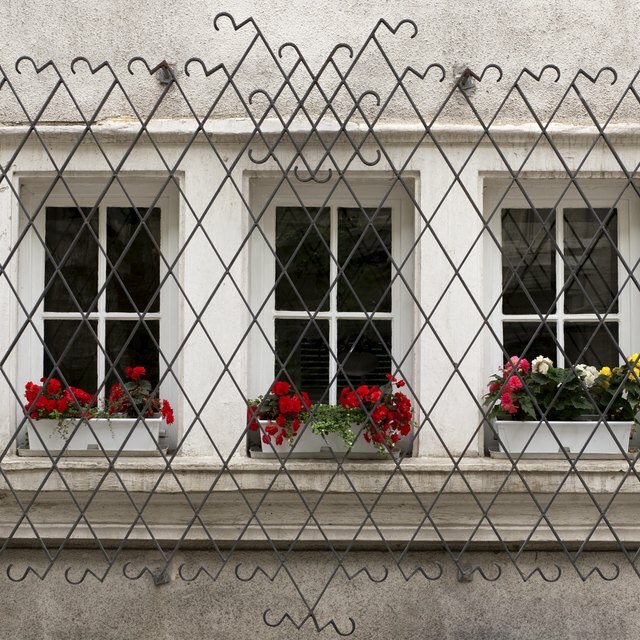 Do Burglar Bars Affect Homeowners' Insurance? The addition of a wood or pellet stove to your home can have an impact on your homeowners insurance. Many insurance companies consider these types of stoves or fireplaces to present a greater risk of a house fire. Not declaring that your have a wood or pellet stove in your home can nullify your insurance policy and leave you without coverage if you have a fire. A pellet stove burns compressed wood or other biomass pellets. They are fed into the burn chamber through a hopper and provide a consistent heat. Most pellet stoves are controlled by a thermostat and have an automatic ignition switch. They require less fuel-feeding and monitoring than a wood stove. However, most insurance companies view pellet stoves the same way as a wood stove; a potential fire hazard that requires higher insurance premiums. In order for an insurance company to approve coverage for a wood or pellet stove, you will have to prove that it has been installed in accordance with fire code. The National Fire Protection Agency provides guidelines on safe installation, but you must also meet all local fire codes. Code requirements often include rules about how close to a wall the stove can be installed, the materials that have to be included underneath and around the stove, and how the chimney must be vented. Some insurance companies will not approve a wood or pellet stove if it has not been installed by a professional. Licensed installers must abide by fire codes, and this gives the insurance company more assurance that the stove is safe. Because anyone can call themselves a "professional installer," check the company's credentials and ensure that it is a member of the NFPA. If using a professional installer, contact your insurance company to find out what documentation it requires for its approval process and ensure that your installer can provide it. Once you have met all of the insurance company's requirements for stove approval, you will receive written clearance from them. Review your insurance policy to ensure that your stove is specifically mentioned as being included in the coverage. You may receive a separate document, or rider, that covers the stove. Keep all documentation in a safe location, and do not rely solely on verbal assurances from the insurance company that you are covered.